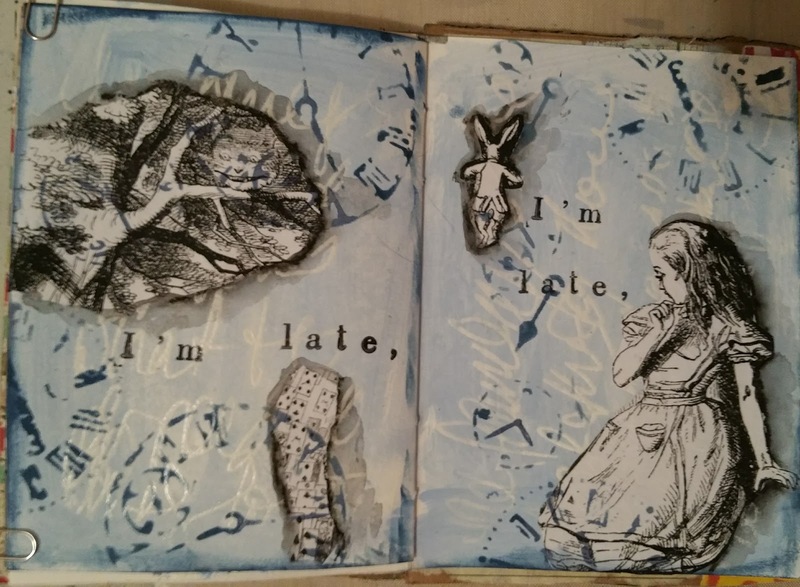 This page is for Simon Says Stamp Monday Challenge - Based on a Book. 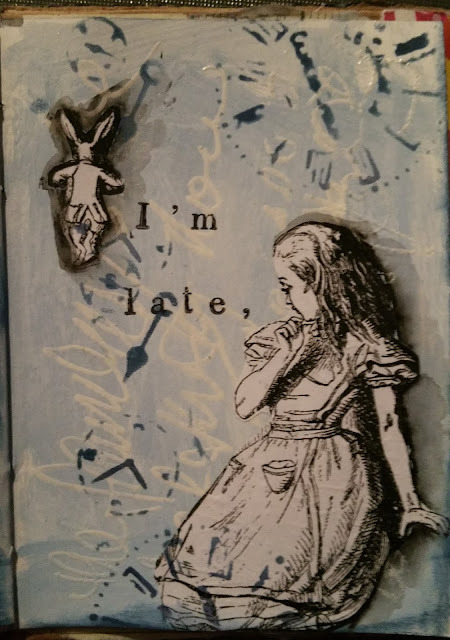 Alice's Adventures in Wonderland kept coming to my mind as I love those original illustrations. 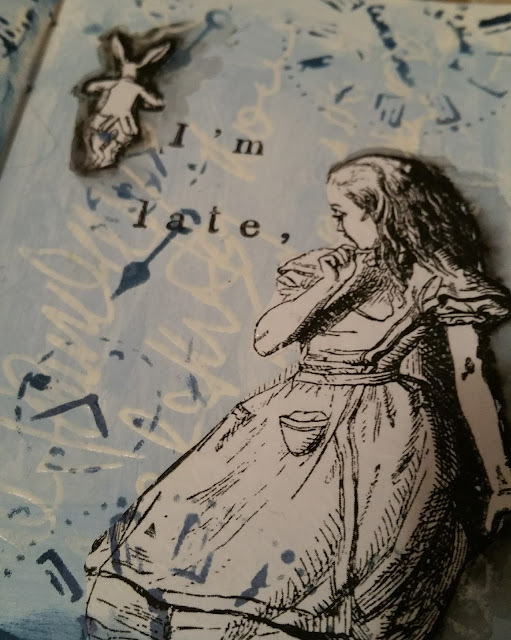 My page started with some random journalling with an embossing pen and then used white embossing powder. This provided an resist effect when the pale blue paint was applied. I thought of colouring the illustrations but once they were on the page I wanted to keep the simplicity. 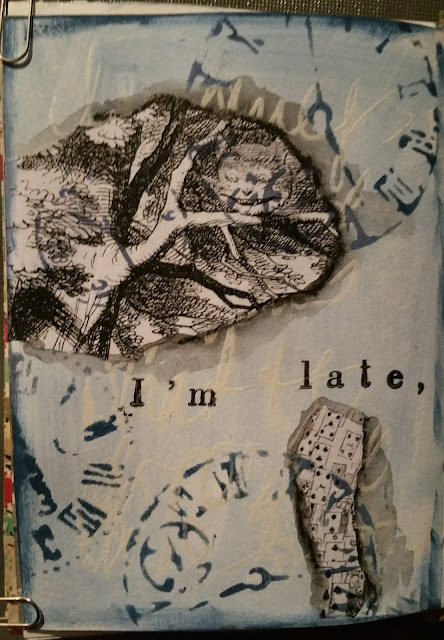 I then used cobalt archival ink through a clock stencil and around the edges of the page and Stabilo pencil around the images.